If you operate a small or medium-sized business, you know how important SMEs are for the South African economy. For this reason, special tax rates for small business corporations (SBC) were introduced to help small businesses. Not all smaller businesses qualify for these preferential tax rates, and a question we often get from our clients is whether they are eligible or not, which is why we’ve decided to design this infographic to help you. Companies are taxed at a flat rate of 28%. In contrast, only taxable income above R550,000 is taxed at 28%. The rest of the income is taxed according to a sliding scale, see the table below. 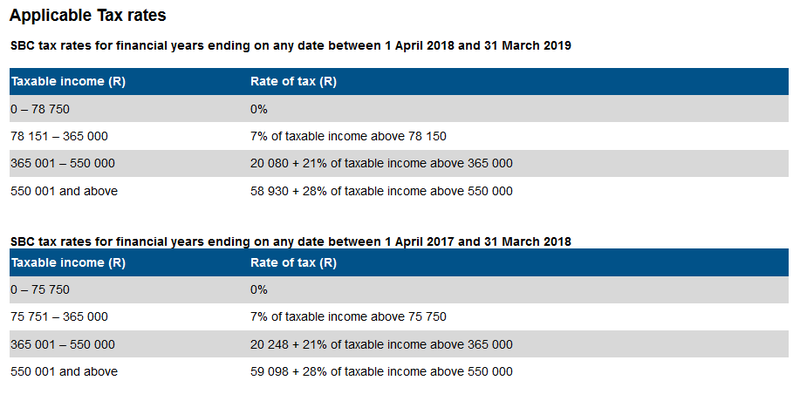 If your taxable income is below R78,150 (2019), you don’t have to pay any taxation. Different assets are written off over different periods; many are written off over five or six years. Small business corporations’ assets can be written off quicker. Higher depreciation reduces your profit, which means the taxation you pay on that profit is lower as well. Any other assets can be written off at their normal rates, or over a 3-year period if that’s more beneficial: 50% in year 1, 30% in year 2, and 20% in year 3. Answer the questions in the infographic below to find out whether you qualify or not. 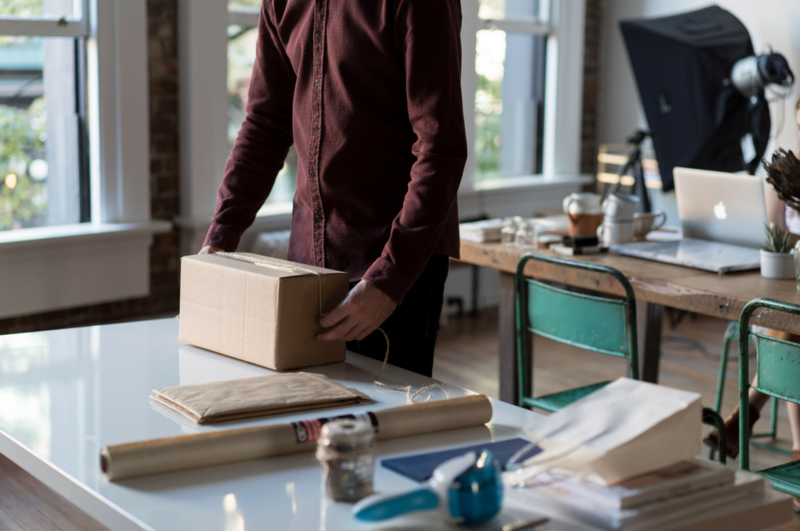 If you qualify as an SMB in one year, it doesn’t mean you’ll qualify in the next one too, so make sure you ask yourself these questions every year to confirm whether you still apply. The answers to these questions aren’t always black and white, and you may find that you’re not sure whether you should answer yes or no. In that case, get in touch with us to help you interpret the qualifying rules for small business corporations.